When someone asks you, “How do you feel about working on your vacation?” and you respond, “Woof!”, you’re actually closer to the Italian countryside than you think. WWOOF, or “Willing Workers On Organic Farms,” has gained popularity in recent years, thanks to a renewed interest in agriculture and a trend toward budget travel. For a small initial fee, the organization connects participating farms with adventurous travelers ready to work for free room and board. There is no exchange of money – only ideas, knowledge, and good will. Visitors are treated to a crash-course in organic farming, and growers are grateful for help they might not otherwise be able to afford. Plus, many farms host multiple volunteers at a time, making it easy to meet international friends. WWOOF opportunities are available in over 100 countries across the globe. But if you’re going to work while traveling, why not do so on some of the most celebrated farmland in the world? 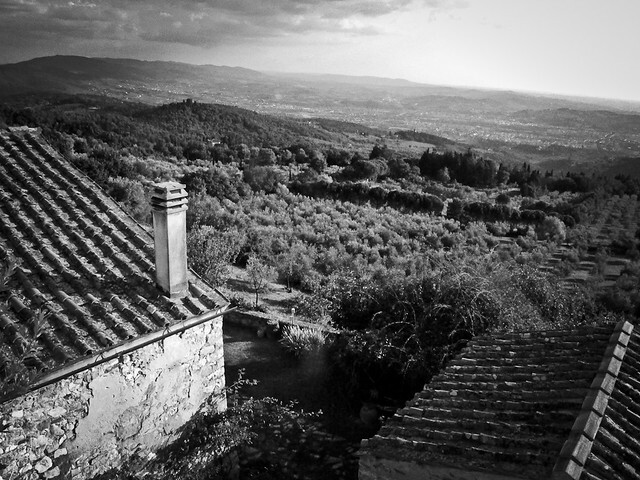 I’m talking Tuscany. While I won’t sugarcoat the hard work involved, I would guess that the rolling landscapes, vineyards, and olive groves make for some of the most rewarding land to till. In addition to the breathtaking vistas, you’re likely to feast on foods, wines, or oils harvested from the very farm where you’re staying. And when you do have a day off, you’re only a train ride from Florence. For more information on WWOOF Italia, visit wwoof.it.